\ Objects \ Aircraft \P-3C, for SFP1. just give me the corresponding credit. Since I do. 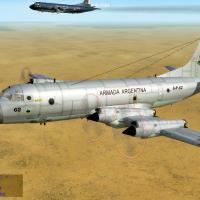 Nueva pintura Baja Visivilidad para P-3C Orion de la Armada Argentina. solo deme el correspondiente credito. Ya que yo lo hago. This repaint is more complete than the previous skin, because that was one of my first skins. The serial numbers are all in decal and decorations now, while the first version were painted. Nueva repintura Azul para P-3C Orion de la Armada Argentina. Este repaint es mas completo que la anterior skin, por que aquella fué una de mis primeras skins. New paint for Mentor T-34 of Military Aviation School (EAM) with Decals. \ Objects \ Aircraft \Mentor. Nueva pintura para Mentor T-34 de la Escuela Aviacion Militar (EAM).Con decals. el correspondiente credito. Ya que yo lo hago. Skin for G-222 Aeritalia Argentine Army with decals included. 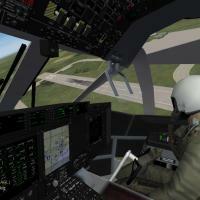 Also optional relocation of the cockpit for more immersion.INI files Included. of their authors are: Veltro2k, Dels with a major update of Wrench. This update is for SFP1 and SFP2. Skin para G-222 Aeritalia Ejercito Argentino con decals incluidos. sus autores son: Veltro2k, Dels con un importante update de Wrench. Este update es para sfp1 y sfp2. 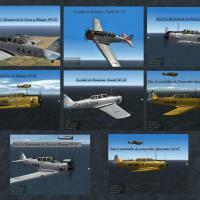 Pack of 8 historicals skins for AT6D-Texan or SNJ5-C.
All with paint schemes and real serial numbers. With decals. shipyards in the country for over 30 years. Put this folders in the appropriate place and enjoy. Pack de 8 skins historicos para AT6-Texan o para SNJ5-C.
Todos con esquemas de pintura y números de seriales reales. Con decals. navales en el país por mas de 30 años. Ponga estas carpetas en el lugar correspondiente y a disfrutar. New painting of fiction for a Su-47. Nueva pintura de fision para un su-47. \ Objects \ Aircraft \F-9J, for SFP1 and SFP2. Nueva pintura para F-9J Cougar de la Armada Argentina. \Objects\Aircraft\F-9J, para sfp1 y sfp2. \ Objects \ Aircraft \P-3C, for SFP1 and SFP2. Nueva pintura para P-3C Orion de la Armada Argentina. \Objects\Aircraft\P-3C, para sfp1 y sfp2. \ Objects \ Aircraft \IA-63a-Pampa, for SFP1 and SFP2. Nueva pintura para IA-63a-Pampa del mod Malvinas. \Objects\Aircraft\IA-63a-Pampa, para sfp1 y sfp2. New paint for MENTOR T-34 Malvinas mod. \ Objects \ Aircraft \ Mentor, for SFP1 and SFP2. the corresponding credit. Because I do, then check this painting is based on original painting Capun. Nueva pintura para MENTOR T-34 del mod Malvinas. \Objects\Aircraft\Mentor, para sfp1 y sfp2. el correspondiente credito. Ya que yo lo hago, pues esta pintura esta echa en base a pintura original de Capun. 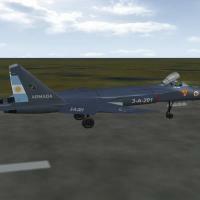 Just a new paint for Mb-326GB Malvinas mod. \ Objects \ Aircraft \ MB-326GB, for SFP1 and SFP2. Simplemente una nueva pintura para Mb-326GB del mod Malvinas. \Objects\Aircraft\Mb-326GB, para sfp1 y sfp2. Saludos al foro en Español!! este es el skin mas usado hoy en la Armada Argentina en este aparato. this is the skin most commonly used today in the Armada Argentina on this unit. Los 2 destructores Tipo 42 ARA HERCULES y ARA SANTISIMA TRINIDAD llegaron equipadas con estos aparatos. The two Type 42 destroyers and ARA ARA Hercules HOLY TRINITY came fitted with these devices. Hello, I'm Falls. 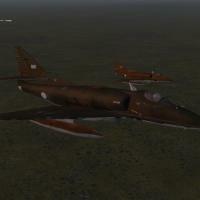 Here is a skin A4B Skyhawk aircraft for use primarily in the theater of operations Falklands. This skin has a small touch mine no more, was originally created for the A-4E Super Echo by Column5 therefore clarify and repeat that I only made some minor changes and adapts it to the A4B Skyhawk. Program Files/Falklands1982/Objects/Aircraft/Canberrab2 de tu SPF1. Aclaración:No sé quién realizó este modelo, pero doy crédito fundamental a su creador. pero con modificaciones el el ini se puede utilizar en el resto de los f-86.